This movie I feel like hits close to home to a lot of people. I know it did for me when Warner Bros. was filming the Green Lantern movie. As a comic book fan in the post Iron Man 1 movie universe, we cannot complain about the bevy of comic book movies that Marvel pumps out. Each one is certifiably gold. But, there was a time when comic movies did not garner the praise and adulation that they receive today. It is acceptable to say that some of the criticisms were warranted. With the likes of “Batman & Robin”, “Superman 4: The Quest for Peace” and “Spider-Man 3”. It seemed like Hollywood just didn’t understand the characters and toy manufacturers had a stranglehold on the properties. Fans didn’t know what to expect to see in the theaters. That is where this movie comes in. 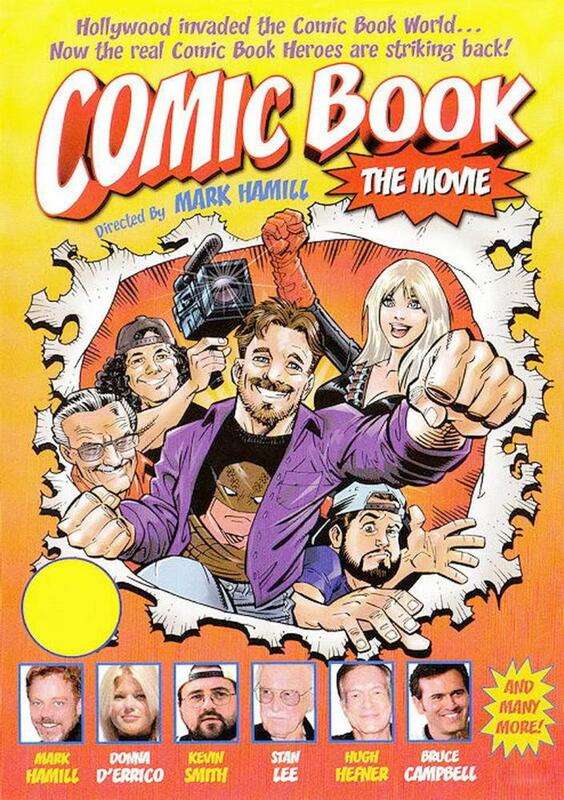 “Comic Book: The Movie” came out in 2004. This movie was written, directed, produced and starred by Mark Hamill. Luke Skywalker himself wanted Hollywood to look into the mirror at what it was doing to our beloved comic book characters. Hamill plays the role of Donald Swan, I will from now on refer to Mark Hamill as Donald Swan, Donald or Swan. Donald is a comic book aficionado, his favorite hero is Commander Courage. Commander Courage is a fictional Captain America doppelganger. A movie studio has recruited Donald Swan to break the news of a Commander Courage movie at Comic Con. As Swan starts to read more into the script he notices that Hollywood is making some considerable artistic liberties with his favorite hero. When the production company is stuck in their ways and Donald feels there is no changing their minds, he decides there is only 1 course of action. To sabotage the movie! This movie is entertaining, comedic and filled with a so many voice actors. As the movie progresses your nostalgia endorphins will explode as you hear the voices of Phillip J. Fry, The Joker and Wakko Warner. The best part about this movie was how current it was for its time. I am sure there were too many fans out there that would have loved to try to do what Donald Swan was planning. This next movie was actually written by comic book scribe James Robinson. A few of Robinson’s exploits include writing Superman for 2 years during the New Krypton storyline, writing Action comics for about a year and Fantastic Four. Unfortunately, practically everyone in this next flick has no redeeming social values. This is the 2002 movie entitled, “Comic Book Villains”. A lifelong comic book collector recently passes away. In this town there just happen to be 2 comic shops that actively compete against one another. I think you can see where I am going with this. The two shops try to smooth their way into the house to buy the motherload of collections. Greed, betrayal, and the lust for money and comics are center stage in this black comedy. I have 15 long boxes and counting in my collection. I can’t imagine what people will do when I die. I wish I had more to say about this movie. This isn’t because the movie is sub-par. It is in fact because 1. I have never worked in the direct market so I cannot relate to the characters and 2. This movie is very straight forward. It is the kind of movie that doesn’t have much story but it has enough humor and pop culture to make any modest comic book fan chuckle. This next movie is my favorite on the list. It might be because I was a communications major in college. I studied enough rhetorical analysis to really appreciate the themes in this movie. 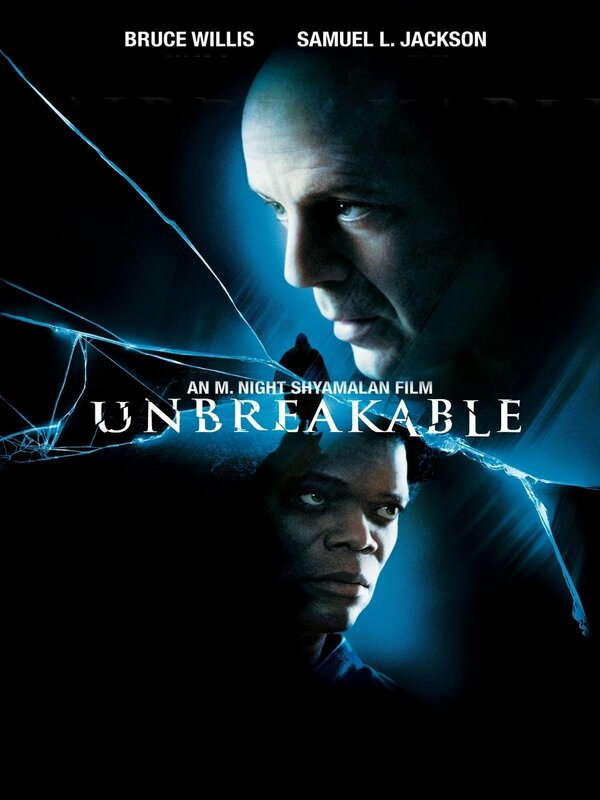 If you really want to dive into the philosophy behind comic books watch “Unbreakable” by M. Night Shyamalan. Samuel L. Jackson plays a man named Elijah, Elijah has been a comic book fan since childhood. Due to his bone density being so low Elijah spent most of his day inside for fear of breaking his bones playing outside. His love for comics would later in life fuel an obsession to seek a real life superhuman being. He would research natural disasters, fatal accidents and the like to see if there were any lone survivors. This is where we meet Bruce Willis’ character David Dunn. David is the lone survivor of a train derailment. I wonder if Shyamalan is a Green Lantern fan. This screams Alan Scott. Elijah finds David and talks to him about how he could be a superhuman being. Going into great length with Dunn, Elijah explains the many architypes and themes in comics, and how they relate in the realm of reality. Of course, since this is an M. Night Shyamalan movie you have an abundance of thrills and a twist at the end. Supposedly the cinematography mimics comic book panels to compliment the ideals expressed. For me to say anymore would be to ruin a truly interesting and compelling experience. I did not mention the year “Unbreakable” was filmed in its paragraph so I will now. It was released in 2000. All 3 of these movies were early 00’s releases. Only “Unbreakable” achieving a major theatrical release. Movies are now predominantly depicting comic book heroes not using the actual books as devices to tell a story. You could look at this as a trend. Two out of the three movies did not see the theaters possibly because Hollywood did not want to take many chances with comic books. These movies are interesting because they show a different kind of love for the genre than a big budget adaptation of the X-men’s origin can. 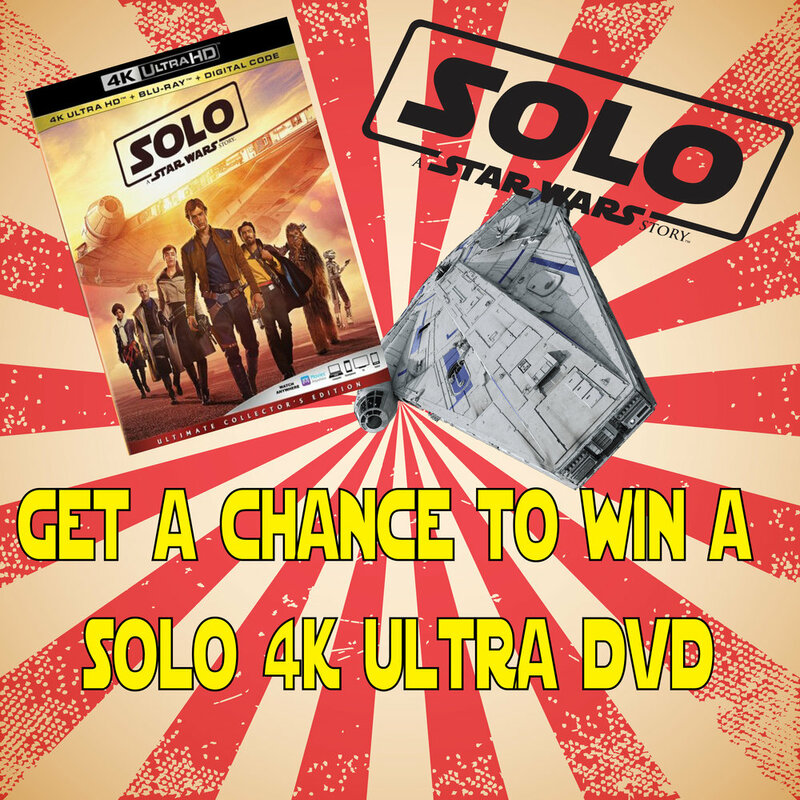 These movies honor the themes we may or may not understand in comic books and the hobby of comic book collecting.